I find myself with so many of these vintage beauties! 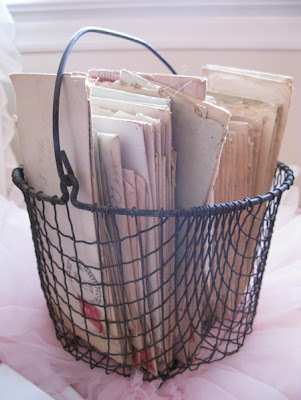 Enjoy the pretty pictures of these vintage wire baskets! so I better stop rambling on about vintage goodies and go clean my house! I will be sure to take lots of pictures! 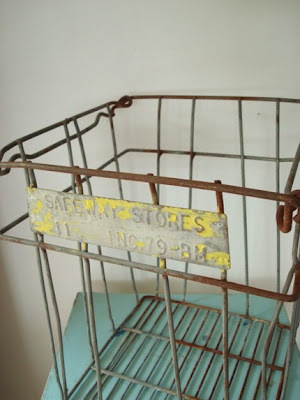 I just purchased an antique wire basket. I put it in my guest bathroom and filled it with monogram soaps. It was so beautiful that I wanted to make sure I had it displayed where others could enjoy too! 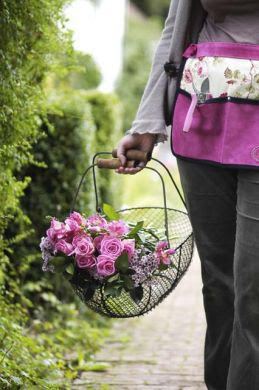 What is it about baskets? I can never have too many. 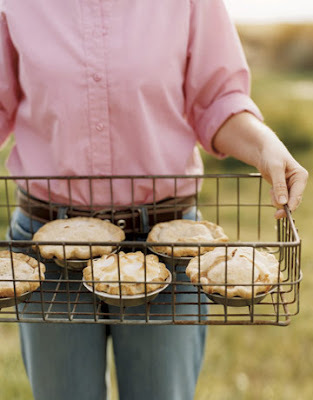 I just discovered your blog and I am in 7th heaven. LOVE IT!! 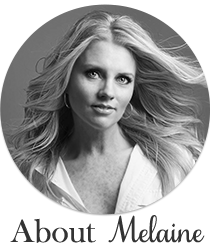 I'm a new follower and looking forward to getting to know you and your blog. ALSO, I just left a comment on your "all you need is love post". I am VERY interested in that product. I thought I'd let you know here that I left a comment there in case you miss it since it was in your archives. 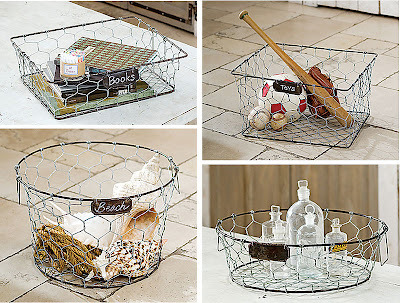 I adore wire baskets. There's something so simple yet elegant about them. I love seeing the flowers in them! Not as practical, but beautiful! 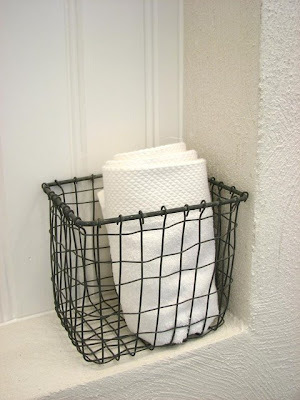 Love all the wire baskets. 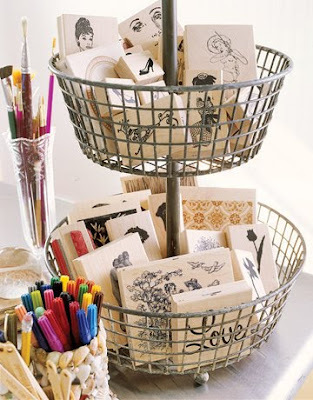 I love the 3 tier basket, I've been looking for one to put fruit in on the kitchen island. Great photos. Oh how I wish I had every single one of those baskets. 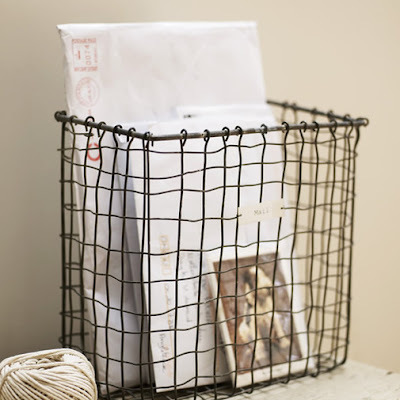 I love wire baskets. Just got a new wire basket as a gift. They are so great.